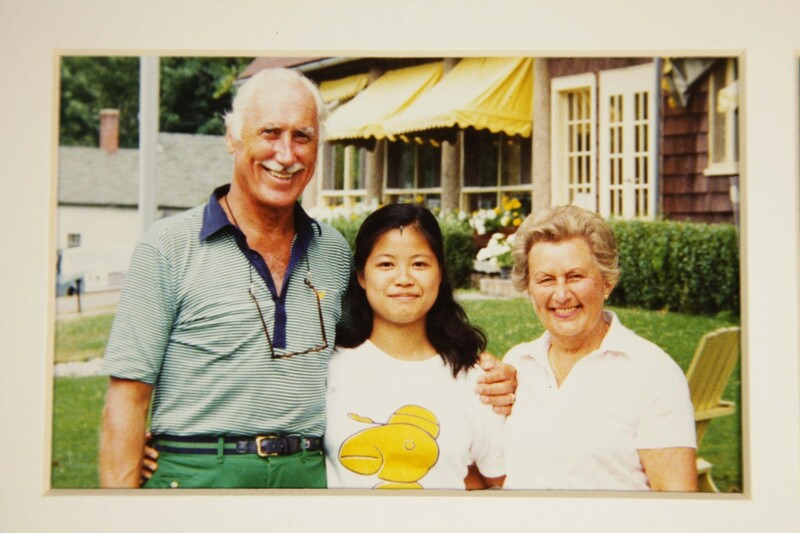 Through Plan International, I became the sponsored child of Mr. B. D. Baily of Canada. With his monthly donation of $45, I was able to continue my schooling, my family did not have to live on canned food and I was able to get adequate nutrition to grow up. At the time, I greeted them as my Godfather and mother. Over the years we have established a lasting relationship and been informed of one another’s progress in life. When I got my first paycheck, I saved it for an airplane ticket to go to Canada to thank them in person. After that visit, we became family. When I got married, my sponsored Mom and Dad came to Hong Kong to attend my wedding. Thereafter, whenever new members were added to the family, I would take them to Canada to visit their grandma and granddad. Mr. and Mrs. Baily must have a great heart and selfless dedication in order to care for a complete stranger and their act enlightens me to have a better understanding of relationship between people. It is impossible to repay them. What I can do is to follow their steps by sponsoring children in need and visit them. I hope to influence my daughter by my act.